Chennai: The Management Development Institute of Singapore (MDIS), the oldest not-for-profit professional institute for lifelong learning in Singapore, has introduced a range of new industry-relevant business and management courses with applied learning opportunities, to help graduates tackle the challenges of a fast evolving world economy, confluence of social media, technological disruptions and more. MDIS also offers a range of MBAs in Banking and Finance, International Marketing and International Business from top ranking universities in the UK and France. An MBA signals potential employers that you are a capable asset and determined to succeed with your leadership, decision making and strategic skills that an MBA provides. “Tackling complex problems in an increasingly competitive global workplace requires an understanding of various business functions. 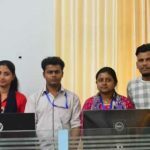 An MBA equips one with such knowledge as most MBA programmes encompass multiple disciplines for a comprehensive understanding of various business operations,” he added. Other ways an MBA can benefit one’s career include increased/enhanced networking opportunities, valuable connections you can tap into for opportunities; amplified credentials to show you have the skills and knowledge to pursue a career in numerous fields; and increased earning potential as an MBA opens up career advancement opportunities that can push your salary upwards. 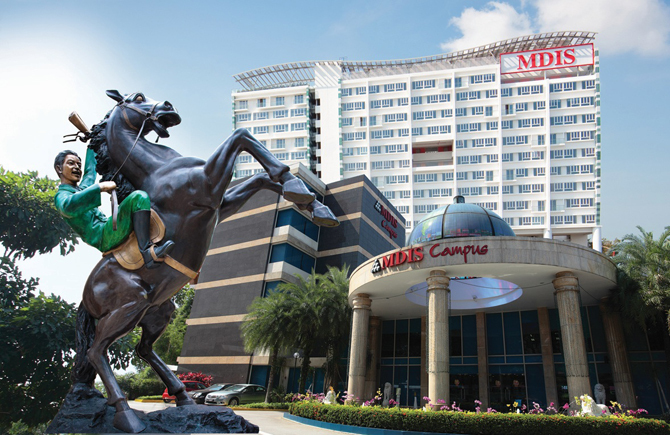 The MDIS Business School (MBS) is the largest and most established school within MDIS. The School offers multi-disciplinary and industry-relevant education, preparing students for career commencement and advancement for today’s complex business environment. To provide students that extra edge in an increasingly competitive economy, MBS organises seminars, industry talks, company visits, and networking opportunities, available even to alumni. MDIS’ campus in Singapore offers a 15-storey, 782 air-conditioned room hostel fully equipped with Wi-Fi; 24-hour security service; a canteen which offers a wide variety of cuisine; a gym; dance studio; badminton courts, a 24-hour convenience store; a library with over 28,000 books and more. All these add up to an excellent learning experience in a lively campus environment, which has created networking opportunities for students from across 82 countries.